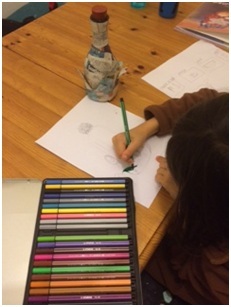 Alba first drew out her design for a decanter and planned how to decorate it. 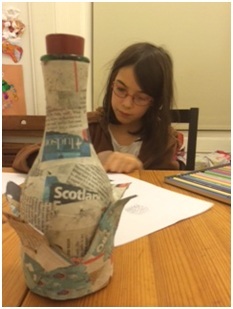 Then she made it using a glass bottle and papier mache. She painted it with metallic paints. 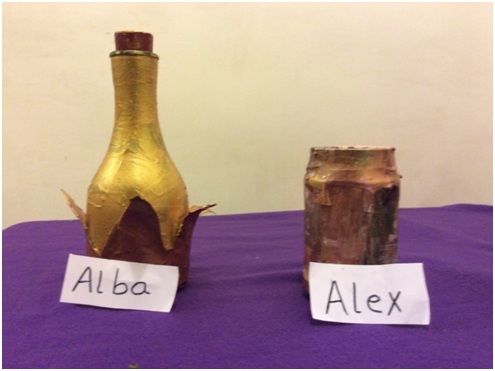 Alex was then inspired to also be creative and made his goblet using a jar and papier mache.